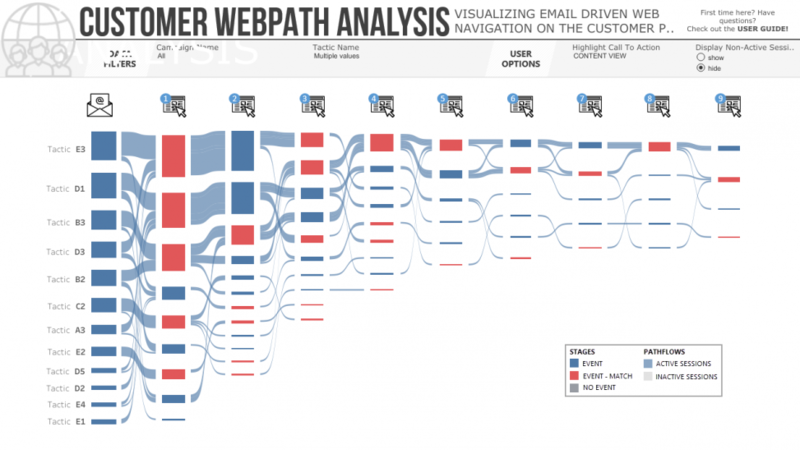 This visualisation by Brian Halloran is used to show user interaction with events on webpages after they receive an email. It’s a complex example but one that highlights all the flows to the user and offers key insight once they understand it. The User Guide offers detailed instructions for users.